Versa’s Wall Pocket system is the perfect answer for dining in multi-use halls. 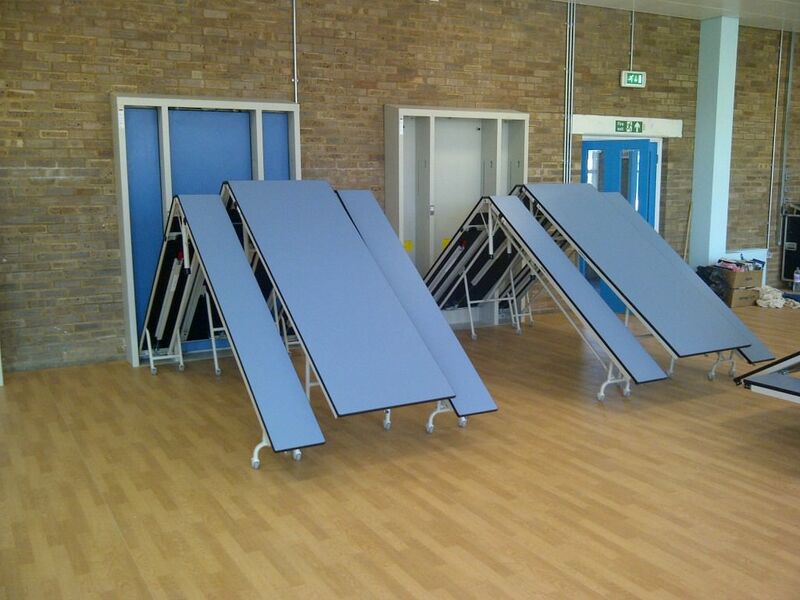 When the tables are stored, you have a useful multipurpose room, but when needed, they can be unlatched from the wall pocket and easily set up for use in seconds. 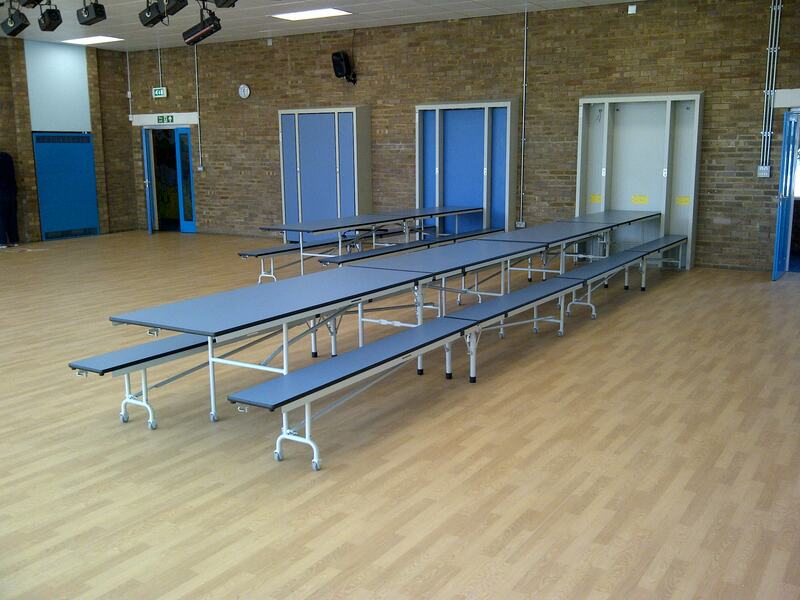 Such flexibility is invaluable for facilities where floor space and storage are at a premium. 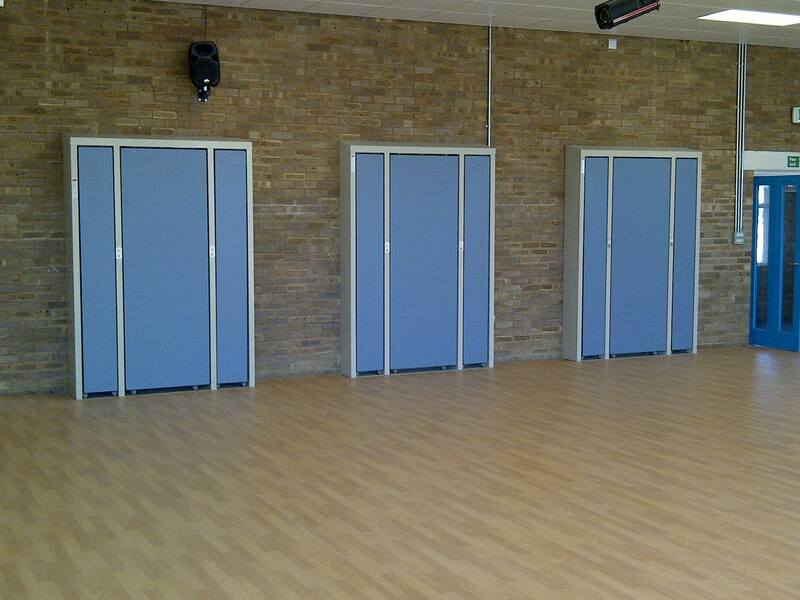 Think of the Wall Pocket as the chance to add an extra room to your school. It’s like an extension without the need for planning permission! The store room that has always held your dining tables is now empty to be used for PE equipment or a new learning space. Best of all, you can fit more students in without cluttering up your hall with extra furniture. The Wall Pocket is available as either a recessed version that sits flush with the hall wall or a surface-mounted version that is quickly fixed to an existing wall. The tables can also be customised with images or logos of your choice to add art to your hall and the whole dining experience. 15-year warranty – Versa guarantees that the Wall Pocket systems will be free from defects for a period of 15 years from the date of installation. To find out more about the Versa Wall Pocket System call us today on 0330 030 0330.